Rumors of war are rumbling in the vampire city of Erebus. Undercover agent Trinity Ward must pose as a blood slave to unearth the truth and keep the peace between vampires and humans. Acting now as a serf to Ares, a powerful Bloodmaster Trinity must give herself to him. Yet one look into his striking eyes turns submission into burning desire. The fiery beauty has the same effect on Ares, but as their passion grows so do the risks. Now Trinity's betrayal could cost her the mission and the man she loves. Lately I have been running into some great books that just happen to be part of a series yet they stand alone beautifully. This always brings a smile to my face and encourages me to search out the backlist and to watch for further releases. NIGHTMASTER happens to be one of these books. I found both Trinity and Ares to be very interesting characters. One feels that she has no emotions and the other was raised to believe that his race has none of the softer emotions such as love. The world in which they exist differs from our own in that the humans have been in a war with the Opir for years and there are lies existing on both sides that these two must overcome. I really enjoyed this book and would recommend it to any of my readers who enjoy hot paranormal romances. 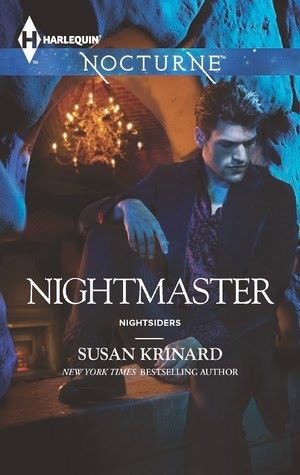 NIGHTMASTER is sure to hold your interest in all ways.